Un libro que balancea profundidad filosófica con una propuesta práctica y valiosa: The Future of Knowledge: Increasing Prosperity Through Value Networks, de Verna Allee. Value Network Map ¿qué es? ¿para qué sirve? ¿cómo hacerlo? A continuación, encontrarás mi resumen de la primera parte en castellano y luego algunas frases citadas que me han impactado durante la lectura. El centro del poder se está moviendo. Puede estar en cualquier parte. No sólo se está moviendo, sino que es una ilusión. Entonces el desafío es dejar de preocuparnos por el centro y concentrarnos en descubrir patrones y relaciones que emergen dentro de las organizaciones y entre las mismas. Entonces, necesitamos manejar menos y prestar más atención. Desarrollar nuevas habilidades para comprender las redes vivas y la complejidad. En ciertos lugares, la riqueza se vincula al entramado social y no al dinero. La prosperidad puede ser entendida como “buena fortuna”. Es decir, no como un accidente (sería “suerte”), no como el resultado de una buena planificación (sería “good management”), sino como el resultado de estar atento a lo que emerge y a lo que está generando prosperidad. Encontrar nuevas formas para crear prosperidad requiere que cambiemos nuestras creencias y preguntas. Lo que no comprendemos y estamos tratando de comprender es lo que abre el portal al próximo nivel. The center of power is shifting out to the edges. […] The center is moving. […] The center can be anywhere. […] The center is not just moving, it is also an illusion. We need to learn to stop looking for the one focal point, the one leader, or the one answer and start sensing patterns. Fuzzy boundaries create innovation spaces where new forms and practices are emerging. How would we describe the world of business if we told the story from the edges, instead of from the center? what would we see if we stopped studying “the organization” or “the company” and focused instead on what is changing and how things are moving between the companies? what patterns and relationships would we see? We must find ways that the knowledge economy can usher in a new era of global prosperity. Today I would define an organization as “a complex adaptive social system where people systematically cooperate to achieve a common purpose”. This definition puts the social system first instead of the structure. Organizational structure without a social system that creates and supports it. Perhaps what we really need is to manage less and attend more. “to pay attention to, to look after, to be present with, to apply oneself, to apply one’s mind and direct one’s attention”. It’s the meta-shift from engineering skills to those that will help us thrive in the more organic world of living networks. We now need to master the skills and tools that will help us better understand true complexity. Our questions about knowledge, intangibles, and networks are creative questions that will guide us through complexity. The true wealth of India is its amazing social fabric. Family ties and connections are so critical to the economy that if you have family you are economically secure. If you have family you have wealth; without it you are destitute. There, the social web of friends and family is the glue that holds life together. Related to the word “wealth” is “prosperity”, which resonates with many of the themes expressed in this book. One of my favorite definitions of prosperity is as “good fortune”. Good fortune has an interesting meaning. Good fortune is not an accident; that would be called “luck”. Good fortune does not come about as a result of planning; that is called “good management”. If you have good fortune, you are paying very close attention to what is emerging and are working with those forces in order to prosper. So one could say good fortune results from “good sense(ing)”. More important than good managing is developing the quality of sensing and paying attention in ways that bring about good fortune in a complex environment. Scarcity and debt creation underpin the current economic system, largely because of the way the monetary system works. However, if we understand monetary value as just one of several kinds of value that are exchanged in society, the world of value looks very different. An economic view based only on money short-changes all the other forms of wealth. When you ask people what they are most grateful for, they rarely list money first. Intangibles such as the support of community, the love of our families, our education, our health, our talent – our real assets, our true wealth. Finding a way to create true prosperity requires that we redefine our terms and reframe our questions. We must penetrate to the very heart of our assumptions about wealth. Organizations have the characteristics of living systems. Like other living systems, organizations have awareness and cognition. They are open systems, interacting with and adapting to the environment. They process inputs and outputs. Fritjof Capra defines three key criteria of living system as pattern, structure and process. The pattern of organization is the configuration of relationships among the system’s components which determine its essential characteristics. The structure of the system is the physical embodiment of its pattern of organization. The pattern of organization might be a dog by the structure determines whether it’s a collie or a toy poodle. The process of a living system is the activity involved in the continual embodiment of the system’s pattern of organization. Thus the process criterion is a link between the pattern and structure. An autopoietic network is one that continually produces itself, so that the being and doing are inseparable. In the business this is referred to as organizational intelligence. Living systems are also dissipative structures that are open to the flow of energy and matter. Dissipative structures exist on the edge of caos. With too much openness they disintegrate; with too little they become rigid and closed and can no longer exchange energy and matter with environment. In business these types of energy and matter exchanges are of an economic order: exchanges of goods, services, revenue, and intangible economic exchanges such as knowledgement and favors that have a value to others. The basic pattern of all living systems, including organization, is the network. Networks are sets of nonlinear, nonhierarchical relationships that nest with other networks. In any living system, the pattern of organization is essentially the network. The mind is a process of interacting with the environment through cognitive actions. Organization intelligence is the cognitive ability of the organization to be aware of itself and its environments and to devise beneficial ways to interact with that environment. One facet of cognition is how new information is taken in and exchanged across boundaries. How is a company able to sense and respond to its environment? When people is one part of the organization become aware of something that is happening in the environment, how does that awareness get transferred across the company? We are looking closely at the way knowledge travels across entreprise boundaries, internally and externally. 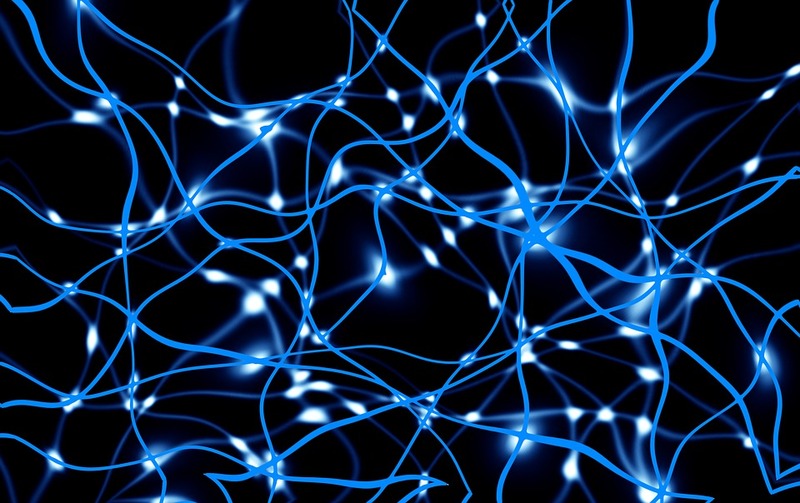 How can we better support organization “neural networks”, especially at the critical synapses were knowledge and ideas transfer from one person or group to another? Decision making and good knowledge creation are not rational processes but social processes. Natural decision making is really not centralized at all but is distributed. Now it’s important for managers to work as deliberatly to improve the quality of Knowledge and learning as it is to improve the quality of products and services. Indeed in this economy they are often one and the same. We can see now that a company can gain economic benefit from its cognitive ability to transform information and knowledge inputs into learning and value. Organizations evolve by economizing on their consumption of natural resources, and knowledge is the primary natural resource used to do that. In the living, networked world of organizations, we must understand companies not as discrete entities but rather as elements in a socioeconomic ecosystem. Viewing intangibles as assets, as negotiable “goods”, and deliverables could potentially make terms like “for-profit” and “not-for-profit” obsolete. We can see patterns, but they are always shifting and can never predict what will happen next. […] When we look for patterns and principles in a complex system, we are seeking what I think of as “simplixities”. Simplixities are simple patterns of relationships and principles that can be used to understand or model enormous complexity. They describe foundational elements of a complex situation or system. […] A business example is the pattern of the process.